A Thank you card is one of the most heartfelt and meaningful ways to express gratitude. 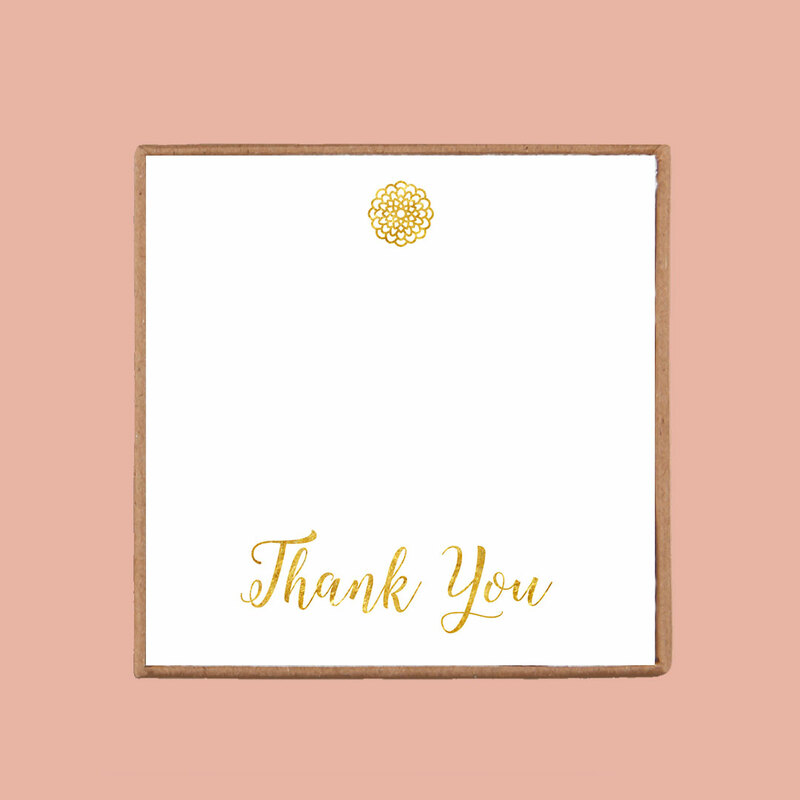 Maybe you can’t repay your recipient for the nice thing he or she has done, but you can reflect the thoughtfulness with the time and care you put into writing and sending a warm, gracious thank you card. Especially after a wedding for example.. It’s important to thank your friends and family for their time, their generosity, and their thoughtfulness. They all helped celebrate your special day and were helping to build your life as a newlywed, after all. If you’re at a loss on how to plan, assemble, and write your wedding thank you cards, look no further than our step-by-step guide below. Writing tip: Sign and send your thank-you card while the gift or event is still fresh in your mind. Within three days is ideal, but in most situations a “thanks” will be appreciated no matter how late it arrives. Here are some note you could try for a thank-you for a gift you received. Writing tip: Here are a few words to describe gifts: fabulous, perfect, touching, beautiful, unique, appreciated, awesome and much-needed. Some words to describe gift givers: generous, thoughtful, creative, sweet, considerate and caring. Writing tip: You get a little more time to write thank-you cards for graduation, wedding, shower and baby gifts. It’s still best to write and send a card as soon as possible, but for a wedding gift, you have up to three months to send it. And if you have a new baby, people will understand if it takes that long or longer. House or pet sitting, housework or help during a busy or difficult time, above-and-beyond assistance with a project at work…anytime someone steps in and makes your life a little easier, call it out with a thank-you note. A warm closing is like the bow on top of your thank-you message. Choose one of ours or create your own. Now, click here to see a selection of pretty thank you gifts. This entry was posted in Personalized and tagged birthday, gift, gift card, thank you.